Want to switch it up from the usual snug fit direct fit LED daytime running lights? 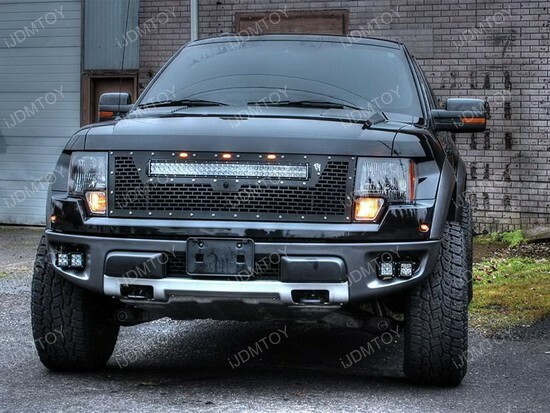 If you have a Ford Raptor, you can opt to get the Raptor LED fog light kit with specially designed cubes that gives your truck a unique flair. 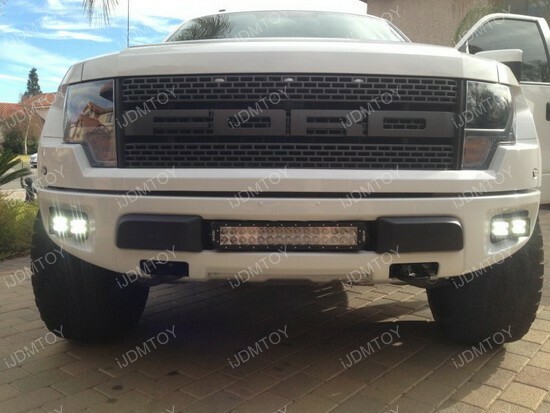 This is a four piece set of xenon white, high power LED bumper light assembly that has specially customized brackets that is exclusively for the 2010-2014 Ford F150 Raptor. 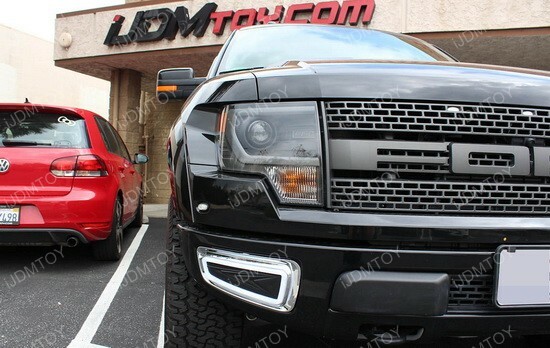 If your Raptor is in those years, then it looks like you’re in luck. 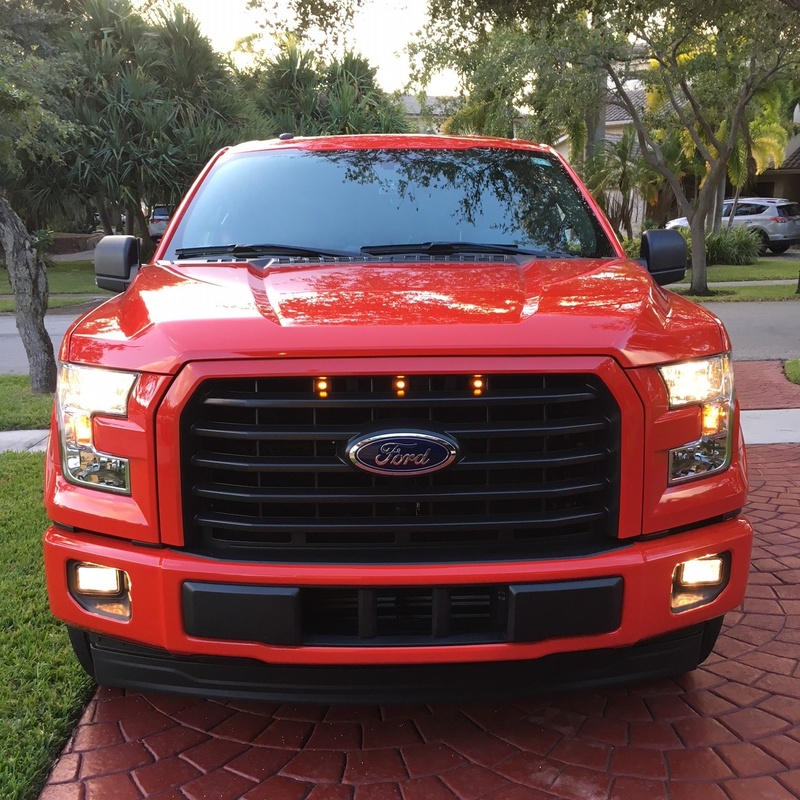 This set of direct fit LED daytime running lights for the Ford F150 Raptor fit perfectly into the opening in the lower bumper to give your truck a taste of the futuristic look. 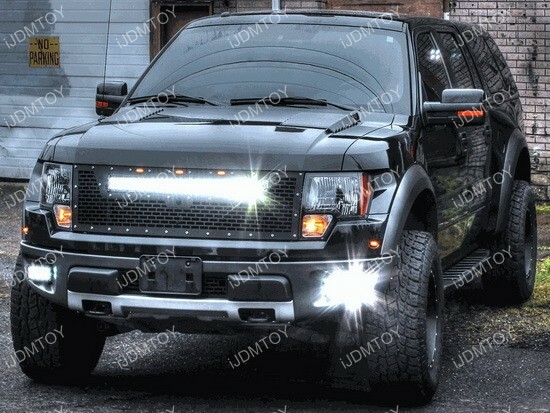 The LED assembly is a direct replacement so the Ford Raptor can get a more OEM style upgrade. People stopping next to you on the street would never guess that this an aftermarket add-on and not something that rolled out of the factory.